SB 128 passed California’s state Senate in June 23-15; however, continued stalling and lack of support in the State Assembly shelved the bill. The bill that passed the Senate Friday is AB X2-15, described in a statement from author Assembly Member Susan Eggman (D-Stockton) as, “nearly identical to SB128.” The statement on Eggman’s Assembly webpage continued, “Assemblymember Susan Talamantes Eggman (D-Stockton) had worked closely with the senators on SB 128, and introduced the newer bill with their support in August, in the special extraordinary session on health care.” The bill passed the State Assembly Wednesday of this week. Governor Jerry Brown has been quiet about whether he would sign the bill into law. He has expressed concern over such legislation in the past. The effort to pass assisted suicide legislation in California gained steam when a young woman named Brittany Maynard sought to take her own life. Maynard had been diagnosed with terminal illness and moved to Oregon from California in order to take advantage of the fact that Oregon has legalized assisted suicide. SB 128 was considered de facto dead after it stalled with Democrat opposition in June. 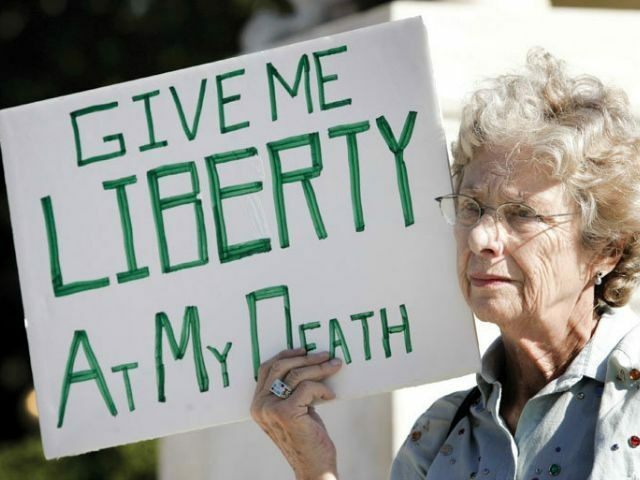 Right-to-die legislation (AB 651) pushed in 2005 failed to secure passage in 2006.